Awesome! I'll have to check it out. I added it to my instant queue. I love both Shaun of the Dead and Tremors. I just finished watching the first season of The Returned on Netflix. It's a French series about a small village where the dead start coming back to life. It's not your typical zombie thriller, though. The undead aren't all stupid, flesh craving monsters. But they're definitely not normal either. There are a lot of creepy moments, and I'm looking forward to the second season so I can hopefully start to get a better idea about what's going on. That sounds interesting! I'll have to see if I can sell my wife on the idea of watching it. Last edited by Googolplex on Thu Sep 01, 2016 11:48 am, edited 8 times in total. Oh wow. That is a long list! I have seen quite a few of them, but I'll have to check out the rest. Experimental psycho horror from Germany and Switzerland inspired by Roman Polanski and Alfred Hitchcock. This is probably one of the most professional and intense horror movies ever createdwith such a complex story. It uses a perfect sound design and aspects that are normally used in videogames. Sadly I think there is no english audio, but this movie is definitely worth to watch in a dark room with turned up volume!!! Last edited by Googolplex on Tue Mar 15, 2016 1:44 pm, edited 1 time in total. 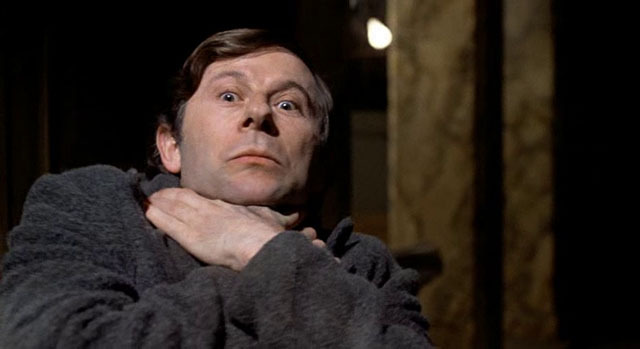 Yesterday I watched Roman Polanski's THE TENANT, and Mr. Gilgenbach I have to say that this movie is absolutely frightening!!! There are actually just a few horror movies that managed to create such an intensive impact of psychological horror. And that means a lot when you watched SUSPIRIA or TRUE LOVE WAYS. It really is a disturbing journey into the darkest fears of human mind that ended in depression. The narrative is such a professional masterpiece and it's Roman Polanski himself at the main actor. This movie is better at horror than the most video games!!! I will have to check it out. I can't remember if I've seen it or not, but if I don't remember, it is a good excuse to see it again! Hey Mr. Gilgenbach, I've found a new horror movie masterpiece from Austria that's at least as intensive like the best horror games are. This movie take seriously about horror. It's not fun to watch, rather it's about the deepest psychological descent in human mind. I'm still traumatized after watching this movie yesterday night. One of the BEST horror movies of all time. I just saw Goodnight Mommy, and it was pretty intense. It made my sister so uncomfortable that she read ahead and then didn't want to watch the ending. It is definitely traumatizing.